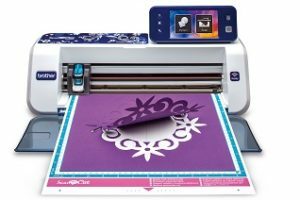 Brother ScanNCut CM650W Cutting Machine with scanner and wireless. 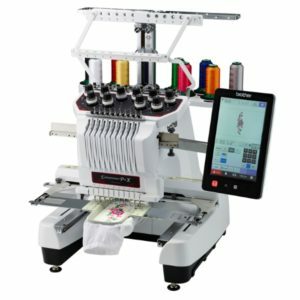 Brother Entrepreneur Pro X PR1050X 10-Needle Home Embroidery Machine: A highly powerful and efficient 10-needle embroidery machine. 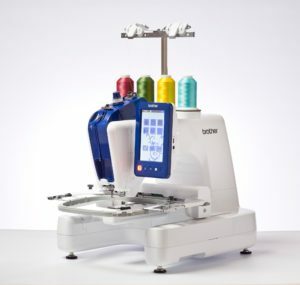 Brother Persona PRS100 Embroidery Machine: Its tubular free arm configuration gives you the flexibility and ease to embroider difficult to reach areas all while reducing fabric tangles. Plus, its mere 18 inch wide footprint makes it the perfect addition to any room in your house. 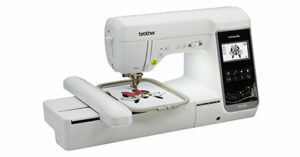 Brother THE Dream Machine 2 Innov-ís XV8550D Sewing and Embroidery Machine: Enhanced, fine-tuned and graced with refined new features to give serious enthusiasts like yourself an incomparable sewing, embroidery and quilting experience. 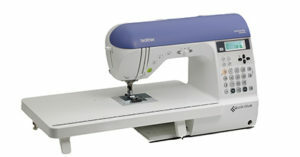 Brother Innov-is NQ3600D Sewing and Embroidery Machine: The Innov-ís NQ3600D offers new state-of-the-art features such as the automatic thread trimming system, giving you the opportunity to cut every jump stitch by moving the frame. 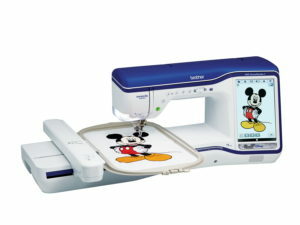 Includes built-in Disney Designs. 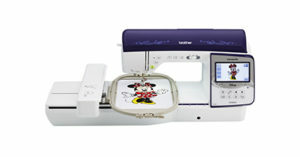 Brother Innov-ís NS2750D Sewing and Embroidery Machine: This completely new design boasts a 5″ x 7″ embroidery area with embroidery speeds up to 650 spm. Brother CV3550 Double-Sided Cover Stitch allows you to create a wide range of cover stitches on all types and weights of fabric for both decorative and constructive applications. Brother CV3440 Single-Sided Cover Stitch Machine: allows you to create a wide range of cover stitches on many types and weights of fabric for both decorative and constructive applications. It features single sided tri-cover stitches, wide cover stitches, and narrow cover stitches as well as the chain stitch. 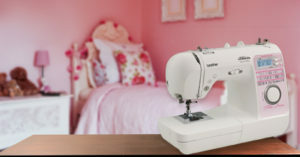 Brother DreamWeaver® VQ3000 Sewing Machine: This versatile quilting and sewing machine is vital for those who love quilting. 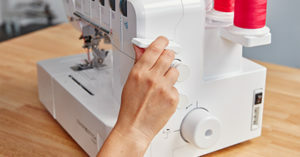 Brother Dream Creator VQ2400 Sewing Machine: This versatile quilting and sewing machine was built to give home-based quilting and sewing enthusiasts their next dream machine. 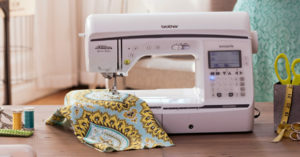 Brother Project Runway Limited Edition Innov-ís 40e Sewing Machine: Whether you’re new to fashion sewing or a skilled veteran of the fitting room, you’ll love the creative potential the enhanced Innov-ís 40e brings to your design table. 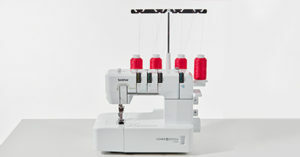 Brother Innov-ís NQ700PRW Sewing Machine: For the beginner or the experienced seamstress, the Innov-is NQ700PRW from the Q-Series has a 14% larger workspace (versus previous model without extension table) and improved sewing with longer feed dogs and the included zigzag foot. 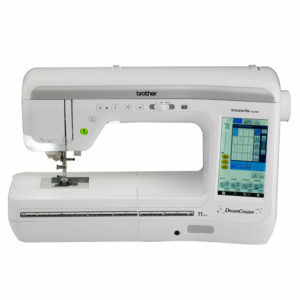 Brother Project Runway Limited Edition Innov-ís 85e Sewing Machine: The Innov-ís 85e showcases the latest sewing and quilting technology in a portable size and at a very reasonable price. 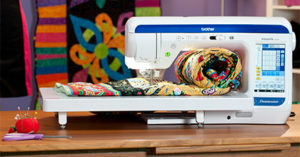 Brother Innov-ís NX570Q Quilting and Sewing Machine: The NX570Q features not only a variety of quilting stitches and sewing accessories, it also includes a quilting table for added support, as well as a knee lifter for easy fabric control as you piece and sew your quilts.